Grasscutter also called the Great Cane rat, is very similar to Porcupine but smaller. A fully grown grasscutter is about 45 to 60 centimeters in length and height is is between 25 to 30 centimeters, the weight is about 4.5kg for males while the females weigh about 3.5kg. and sells between N4,000 to N5,500 in the market. Mature female grasscutter reproduction cycle is rapid and their growth is very swift, the period of pregnancy is within five months giving birth to roughly 4 to 7 young grasscutters so in a year each matured female grasscutter would give birth to 8 to 14 grasscutter. The demand of grasscutter meat is high while the supply is very low this is as a result of the rareness of grasscutters and this is one of the reason its a very lucrative business to venture into. You can start a grasscutter farm with one male and few female grasscutters. This animals maintain colonies so you can not find male and female grasscutters living together. You can start your grasscutter farming with one male and some female grouped together. The male will fertilize the female grasscutters. You can start with more than one colony but this depends on your capital. To have a healthy grown grasscutter you must give attention to the feed and the type of breed your are raring. The male grasscutter mates with the female ones to produce young grasscutter so the male and the female grasscutter must be healthy because this will determine whether the offspring will be healthy. Also the feed given to the grasscutter must be of good quality. To grow healthy grasscutter the attention must be on the male grasscutter that will fertilize the female grasscutters and the quality of feed must be of good quality. Grasscutters feed on herbs and grasses. One of their major feed is elephant grass, Napier grass. They also feed on Gliricidia sepium, and some leguminous plants. Guinea grass, Gambia grass, Congo grass can also serve as feed to grasscutters. To grow a very healthy grasscutter you must give attention on their feeding and hygiene. Here are some feeds for grasscutters. Roots and pitch of oil palms, coconut palms, bark of plantain, pineapple. Rice, corn, groundnut,sweet potato, grain legumes, cassava tubers etc. The grasscutter house has to be constructed rightly. There should be at least three chambers. One for eating, playing and sleeping. The design should make it easy for the grasscutter to move about, they respond well to good habitat. The most preferred dimension in length should be about 180cm, the height should be about 45cm while the width should be about 60cm. If there is more than one colony they should be in their separate chambers. Its not advisable to put all of them in the same place. Each colony should have its chambers. The grasscutter house should be constructed in a way that would make it impossible for snakes to enter. Snakes are one of the major threat to this animal so you must make sure that the cage is properly secured. Another common attack you should look out for is soldier ants. With proper feeding the grasscutter should be ready for weaning from between 4 to 8 weeks. Within 5 to 7 months, the grasscutter can be taken from their mother and grouped into their own colony. Like I said before this colony should contain at least one male for the sole purpose of mating and reproducing. the approximate mating period is within 140 days if after the male and female has been paired during this period and no sign of pregnancy then the male should be properly examined and the female should be paired with a different male. Grasscutter are scarce, its not very common and this is the reason why the demand is very high making this business a very lucrative one to invest in. One grasscutter costs minimum of 4,500 to 5,500 naira. Marking very easy because of its high demand. Our sample Grasscutter Farming Feasibility Study & Business Plan in Nigeria can be used to access bank loans, proposal writing and grant applications. 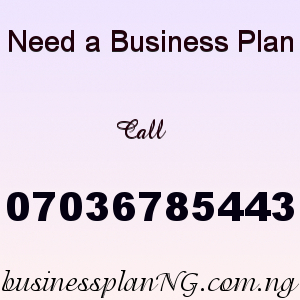 The business plan was complied after a thorough feasibility study on Grasscutter Farming Business in Nigeria was done. After you have made payment for your Grasscutter Farming Business Plan in Nigeria & Feasibility Study, send your email and payment details to 07036785443. Once your payment has been verified the Grasscutter farming business plan and feasibility study will be sent to your email.